Fluid is transported in the cavities between each gear tooth and the housing according to the positive displacement principle. 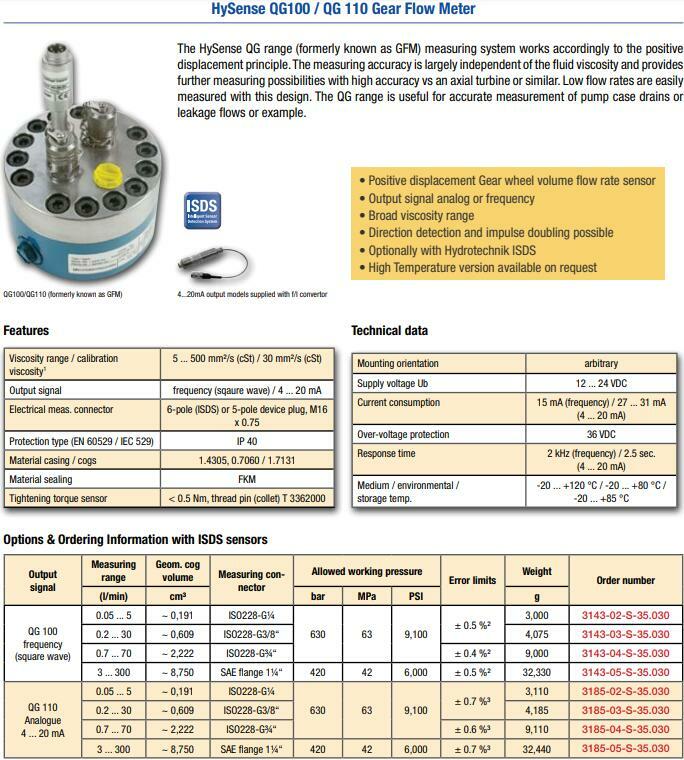 Due to this, the measuring accuracy is largely independent of the fluid viscosity. The rotation of the gear wheels is detected by a non-contacting magnetoresistor sensor. Each tooth cuts through a small magnetic field and produces a square wave electrical output. 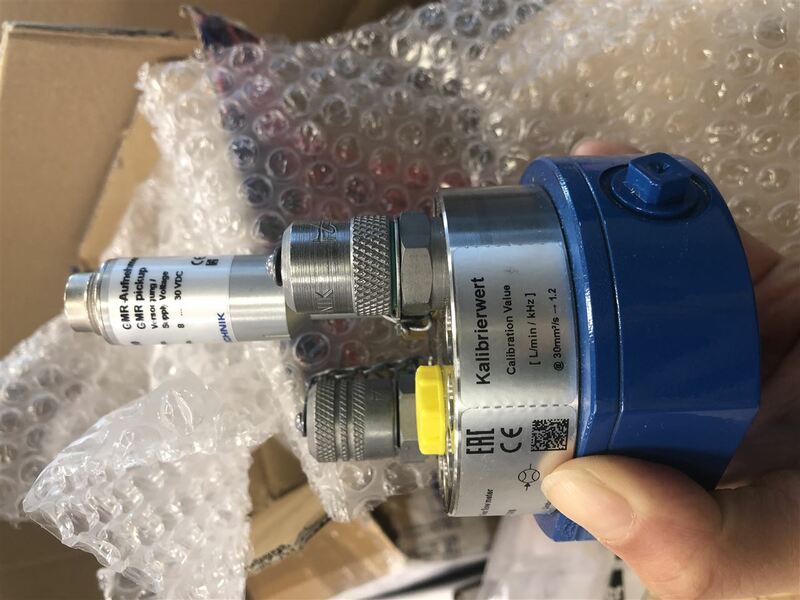 Connected HYDROTECHNIK measuring instruments can then display the volume flow rate in l/min for example. 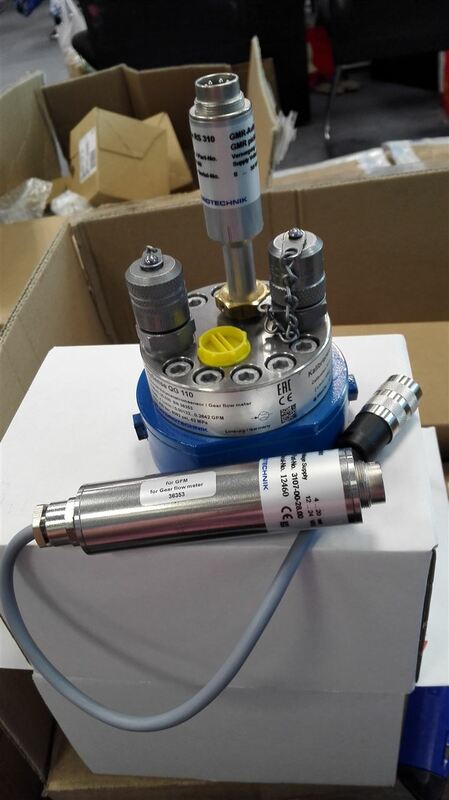 As an option it is possible to double the pulses, when installing an additional magnetoresistor sensor into the gear flow meter. In doing so, a better resolution is achieved and modifications of the direction are detected exactly. 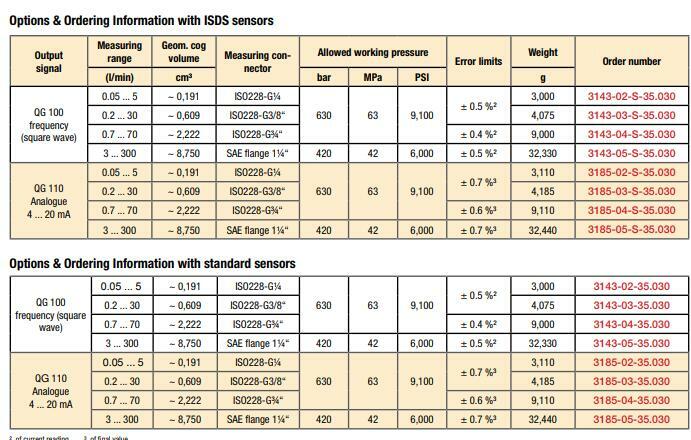 ISDS sensor versions provide improved accuracy and increased low end measuring ranges due to the linearisation data within the sensor. Suitable for hydraulic and other mineral oils, diesel oil, fats, glue, resins, waxes, pastes, polyurethane etc. Material: Housing Top 1.4305 Stainless, Housing Bottom 0.7060 Cast Iron, Gear Wheels 1.7131 Hardened Steel.